Auto recyclers from across the U.S., Canada, Mexico and Australia came to the Car-Part.com Industry Conference to experience new product solutions from the online used parts retailer. Thirty-two classes were offered, nine of those being new. Rob Rainwater gave insights into auto recycling sales management and techniques. Industry-related classes were presented by recyclers, core buyers and HR professionals, and an aftermarket quality program was discussed by Dan Morrissey, ABPA’s chairman. DJ Harrington emceed the event. Recyclers were among the first to be configured for Car-Part Pro, the new search engine designed for professional repairers. Coaches helped recyclers configure their best options for extended warranties, accurate delivery times and brokering. Recyclers also tried out the currently available CrashLink, which provides OE interchange, diagrams and a pricing calculator that helps value assemblies, interchange and non-interchange parts for collision repair pricing. Other new product presentations included Real Time Barcoding — vehicle and part imaging for Checkmate, Car-Part Pro and eBay; Checkmate Workstation; Order Trakker; new features of Car-Part Messaging; Coremate and more. Despite RTA reforms instituted in January this year in NSW and despite more recent changes to the legislation brought into effect on August 1, unlicenced traders and backyard repairers are still selling potentially dangerous repaired write-offs. While the reforms were designed to protect consumers and reduce vehicle theft and re-birthing, James McCall, CEO of Motor Trade Association - New South Wales (MTA-NSW), said the reforms do not protect consumers against write-offs which have been repaired poorly by unscrupulous repairers before the laws came into effect. The reforms in NSW introduced tougher restriction on the re-registration of written-off vehicles, classing all write-offs as "statutory" or non-repairable (other jurisdictions, like Victoria, still have two classes of write-off: "repairable" and "statutory"). The latest changes require a "certificate of compliance" stating a vehicle has been repaired to required safety standards before it can be re-registered. The MTA estimates an average of 15,000 repaired write-offs are re-registered each year in NSW, increasing to 20,000 last year. "We've had cars where the pillars have been cut by emergency services and the insurance companies are selling these on. They are put back together with Sikaflex. People will be killed or maimed in a crash in one of these cars," Mr McCall said. Senior Policy Advisor for NRMA Motoring and Services, Jack Haley, downplayed the danger of repaired write-offs. "If the repair has been done properly it is perfectly satisfactory. The main value of this reform, in our view, is that it will prevent vehicle re-birthing," he said. The Victorian Automobile Chamber of Commerce (VACC) supports the NSW reforms. VACC's view is that they will encourage insurance companies to repair more vehicles and simplify the market for consumers and dealers. "One category of written-off vehicle would remove the current position of having two classes of vehicles in the second-hand market (in Victoria); those that have been written-off and those which have not. This would provide both consumers and dealers with a simpler marketplace," David Purchase, VACC Executive Director said. "VACC would like to see the NSW position adopted in Victoria." Rachel Uglow, 40, of Croki bought a second hand Toyota Prado from a car dealer in February 2011 and discovered it was a repaired write-off, with major damage to the chassis, when she took it for a mechanical check. "The only reason we wanted to buy another car was for safety. When I first found out the car was a repaired write-off I was really angry," she said. The car dealer was forced to refund Mrs Uglow's money after she contacted the RTA and the Department of Fair Trading and gathered evidence that the car was a repaired write-off. No such protection exists for buyers who have bought privately or from an unlicenced 'backyard' seller. "I think you've just got to be super-careful and do the homework yourself and not trust anyone. You feel a bit unprotected as a consumer," she said. While it is legal to sell a car that was deemed a "repairable write-off" and re-registered before January 31, under the 2004 Motor Dealers Regulation, car dealers must tell consumers if a vehicle has previously been declared a write-off. According to the REVs website "motor dealers must declare whether, according to REVS data, a vehicle has previously been written off". There are no such rules for private sales. Buyers have to be especially vigilant and ensure they do the relevant checks prior to purchasing a vehicle. But Bennett Thelmo, Business Project Officer at REVs, admitted that even if a REVs check is done there is no guarantee the written-off status of a vehicle will be reported. Both buyers and car dealers in NSW need to request this information from the RTA. "We provide the history if the data comes from the relevant agency but our main business is encumbrances. Information about whether a car is written off is auxiliary information," he said. A spokesman for the RTA confirmed the RTA administers the Written-off Vehicle Register (WOVR) but did not acknowledge the breakdown in the process for sharing that data with REVs. The WOVR is a national initiative "designed to deter vehicle theft and to ensure written-off vehicles are repaired to an appropriate standard before re-registration" (VicRoads). Car buyers in Victoria are arguably at greater risk than those in NSW. Victoria, unlike NSW, still allows two classes of "write-off" in the Written-off Vehicles register: "statutory write-offs", which can never be re-registered, and "repairable write-offs" which can be re-registered after repair and having undergone a Vehicle Identity Validation (VIV) inspection. Although a national initiative, each state manages its own inspection and registration regime. "Motorists can check the history of a vehicle registered in NSW on the RTA website to see if it has been written off," Mr Thelmo said. The MTA however accuses the RTA and the Department of Fair Trading, which operates REVs, of avoiding responsibility. "None of the agencies are willing to say 'we got it wrong'. Everyone just points the finger at everyone else," said Mr McCall. In October this year REVs will be scrapped and replaced by a new national body, the Personal Property Securities Register (PPSR) but the anomalies will remain. The message to car buyers is "do your homework": have any private purchase checked carefully if you want to avoid investing good money and driving around in a poorly repaired 'write-off'. When it rains enough to flood everyone panics, especially people who don’t have flood insurance. Last month the Chicagoland area received over seven inches of rain in one night, not enough to trigger a widespread flood but enough to cause a lot of damage and some localized flooding. Fortunately automobile owners who had full coverage on their cars had flood coverage under their Comprehensive coverage. Full coverage generally means comprehensive and collision coverages. Most people understand the collision part, when your car hits another car, or an object like a tree or a fence, or your car is hit by another car. The comprehensive coverage is the definition that is not as well understood. Comprehensive coverage pays for losses from events other than collision, for example, if your car is stolen, damaged by fire, or involved in a flood. If you have rental coverage your insurance company will pay to provide you with a loaner car right away so the insurance company can help you to decide if the car can be repaired or if it should be declared a total loss. “Our customers were so happy when they found out they had flood coverage on their car as long as they purchased full coverage. Some streets flooded with several feet of water and the cars were almost submerged, especially the smaller cars that sit lower to the ground.” said Cynthia Garcia, Marketing Director for Active Insurance Agency. If you are looking for a used car and are concerned about purchasing a car that was salvaged after being declared a loss due to flood be vigilant. Check for musty smells and for upholstery that does not match the rest of the car. Check for silt or dirt in the trunk, below the seats, in the glove compartment and under the dashboard. Have the car inspected by a mechanic. You can also run a search on Carfax.com to obtain a history of the car. All you need is the vehicle's 17-digit Vehicle Identification Number (VIN), which you can find on the dashboard. The cost is $34.99 for one car or $44.99 for five reports. Many states including Illinois will title cars with a “salvage” and sometimes a “flood” designation for cars that have been transferred from other states for resale. The State Department of Motor Vehicles try hard to prevent clean title transfer for cars that have been flood damaged but sometimes even their best efforts fail to spot fraud, so be careful when purchasing a used car especially one with a relatively recently transferred title. In India, cars driven for 15-20 years until they can no longer be cajoled into life often land at scrap dealers, to be dismantled and their innards reused with little regard for the environment. An experiment is in the works just outside Chennai to tweak this picture. As India’s annual car sales climb at a 30% clip to touch 2.5 million in 2010-11, according to the Society of Indian Automobile Manufacturers (Siam), as people upgrade from hatchbacks to sedans, and as accidents rise and loan defaults soar, more cars are entering scrapyards where engine oil leaches into the ground and lead poisoning lurks as batteries are taken apart. 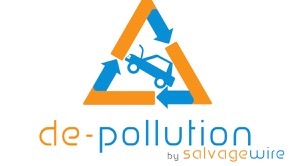 A recycling unit launched on Tuesday 55km outside Chennai, close to the local factories of foreign auto makers including Ford Motor Co. and the Renault-Nissan alliance, may offer a cleaner and greener solution for the reuse or disposal of automotive parts. The 340-acre facility to the south-west of Chennai, in Oragadam, is a creation of Siam and the ministry of heavy industries that will dismantle cars that are no longer road-worthy. The compact unit currently working on 100 two-wheelers and 25 four-wheelers will be run primarily on manual labour, unlike heavily automated recycling centres abroad, Siam Recycling Group chairman N.S. Mohan Ram said. 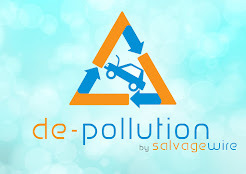 Over three months, workers will dismantle each car and two-wheeler, and after removing parts that can be reused or recycled, and other parts such as glass and fabric that must go into landfills, large parts will be compressed by a hydraulic press to occupy smaller spaces. S.S. Chawla, 30, entered his father’s 25-year-old scrap business in Mayapuri about a decade ago. The west Delhi recycling hub grabbed headlines last year following the death of a scrapyard worker from exposure to radiation from junked equipment containing nuclear material. While there may be little adherence to environmental norms, it is undeniable that he and other scrap dealers are a valuable and cheap source of replacement for rural car owners and taxi operators who cannot afford a Rs.4,000 tyre to replace a worn-out wheel. Many car owners head to this junkyard heaven to pick a cheaper tyre ripped off from a partially damaged vehicle for Rs.800-1,000. Indeed, business and competition has picked up, said Chawla, as have piles of garbage generated from unusable auto parts such as glass components and plastic innards. Chennai’s Mayapuri lies to the north-west of the city, in Pudupet. The air here reeks of automotive fluids. The soil is a shimmering dark gray mix of grease and shattered glass. Many of Pudupet’s scrap shops that line every inch of its streets are stuffed with car tyres, doors, mirrors, bumpers and other tubular and metal components. The fast-growing loot comes from financiers auctioning vehicles confiscated from defaulting borrowers, insurance companies and even the forest department that finds orphaned vehicles. But even as the resale of automotive parts may seem a logical extension of the pervasive Indian habit of reusing things, it inadvertently involves violation of environmental norms, say ecological experts. “There is always the danger of overstepping that line by using products that may not be fit enough to be used,” said Priti Mahesh, project manager with Delhi-based environmental not-for-profit Toxics Link. Amid increasing labour costs to repair dented bumpers and doors defaced by accidents, the rising stock of unblemished doors recovered from vehicles brought to Chennai and Delhi’s scrap dealers finds several takers. Still, a soaring mountain of metal spares—70% versus 30% of total scrap volumes 20 years ago, according to several Pudupet traders—don’t find buyers and are sold by weight at a profit given rising aluminium, steel and copper prices. The rise in melting and reuse of such parts by the unorganized sector, which could be lethal to air and water in the surrounding areas, offers a compelling reason for ecologically cleaner measures to recycle automotive parts. Amritha Venketakrishnan contributed to this story. As reported in Canadian Auto Recyclers Magazine, the Malaysian Automotive Recyclers Association have announced an international forum that focuses on Standards, Safety environment and quality in the Auto Recycling Industry.